I have a six-year-old daughter who likes to craft. It’s fun to see her puttering around with colored pencils and scissors and glue (and glitter and paper straws and anything else she can find in my craft room). Honestly, I love it. But there are a few problems. Problem Number 1: this girl can make a mess! I thought my boys were bad, what with their strewing of legos all over the house for me to step on at night (yow!). But goodness, this girl makes a mess with a capital M when she starts cutting things up in tiny pieces. Which brings us to Problem Number 2: If I don’t keep her well supplied with coloring pages and mom-approved craft ideas she’ll raid my craft room and start cutting up and gluing together whatever she finds (including projects I’m in the middle of!). So I try to dream up easy craft ideas that are fun for her to work on, but also easy to clean up. Last Halloween I made some printable Halloween masks that kids can color in themselves, and she loved them. I followed those up with a Christmas version, which was also a hit. So here’s the latest print and color mask installment: a unicorn. 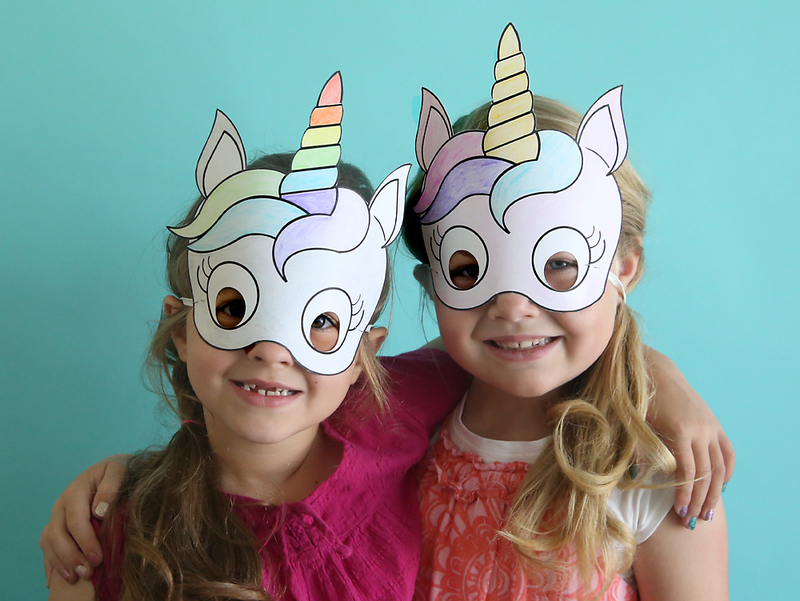 These cute DIY unicorn masks kept my daughter and her friend happy for almost 2 hours the other day while I was getting some work done. 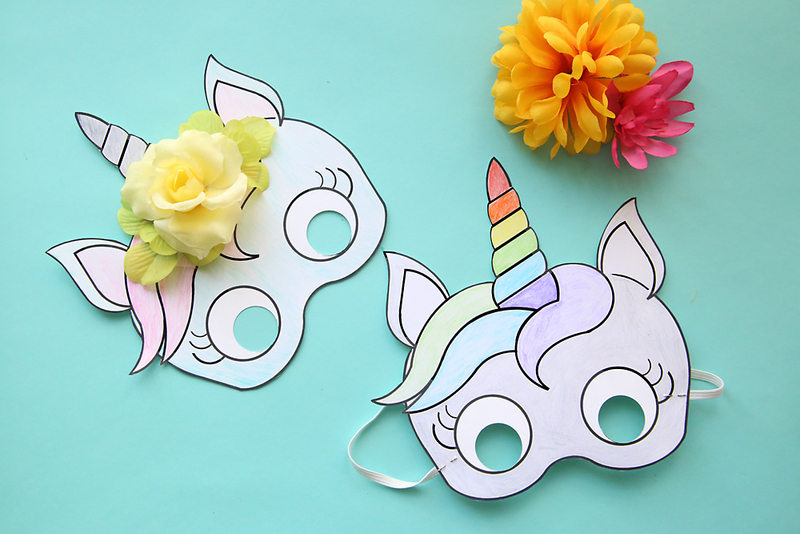 These easy DIY masks are perfect for younger school age kids because they get to color, they get to cut, they get to punch out eye holes, and they get to staple on elastic. Lots of fun for them with limited supplies and limited mess for me! We even glued flowers onto some of the masks, which took them from awesome to amazing, at least according to the six-year-old girls. I think this would be a really fun (and inexpensive!) birthday party activity. 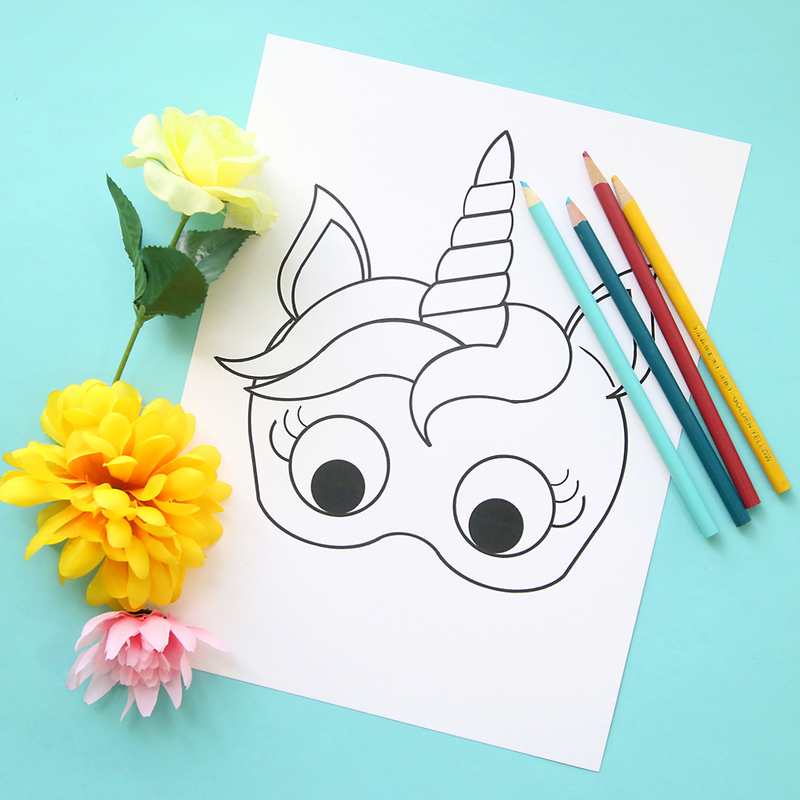 Click here to download the free printable DIY unicorn mask coloring page. This is a pdf file sized to print on an 8.5 x 11 sheet of paper. Print it out at 100% or full size, and I highly recommend printing on cardstock so the mask will be a bit sturdier. You will also need about 15 inches of 1/4 inch wide elastic and a stapler. A 1-inch hole punch also comes in handy for punching out the eye holes, but if you don’t have one you can cut the eye holes out with scissors. The masks are very simple to put together! Let kids color them in first, then cut them out. Use a 1-inch hold punch to punch out the black eye holes (I like this one from Amazon because it reaches the eye holes with no trouble – if you order a different punch just be sure to check how far it can reach from the edge of the paper. The eye holes on this mask are 1/2 an inch from the edge of the paper to the closest edge of the eye, and 1 full inch to the center of the eye. It looks like this punch should work too). Then just staple a 15 inch piece of 1/4 inch wide elastic to each side of the mask. 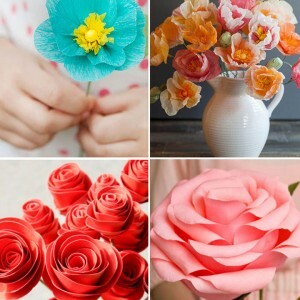 If you’d like to add flowers, just snip individual blooms from stems of artificial flowers and hot glue them on (we purchased flowers from the dollar store). Happy unicorn crafting! Hi! The link for the unicorn mask pdf is not working! I would love to use this for my daughter’s party. Thanks! Is the punch you used in the pictures the same punch you linked on Amazon? No. The punch in the photos is very old and I don’t even remember what brand it is. I linked to the closest one I could find on Amazon. HTH! Link doesn’t work, tried several times. Any chance you could e-mail the pdf ? sure, sending it to you now. The link doesn’t work, kan you email it to me? Any chance you could email me the printable mask please? Hi Autumn, i also cannot download the pdf file for the unicorn mask. can you please send it to me via email. thank you so much for providing this mask. it will be used at a unicorn party. I’d love to have it emailed as well. 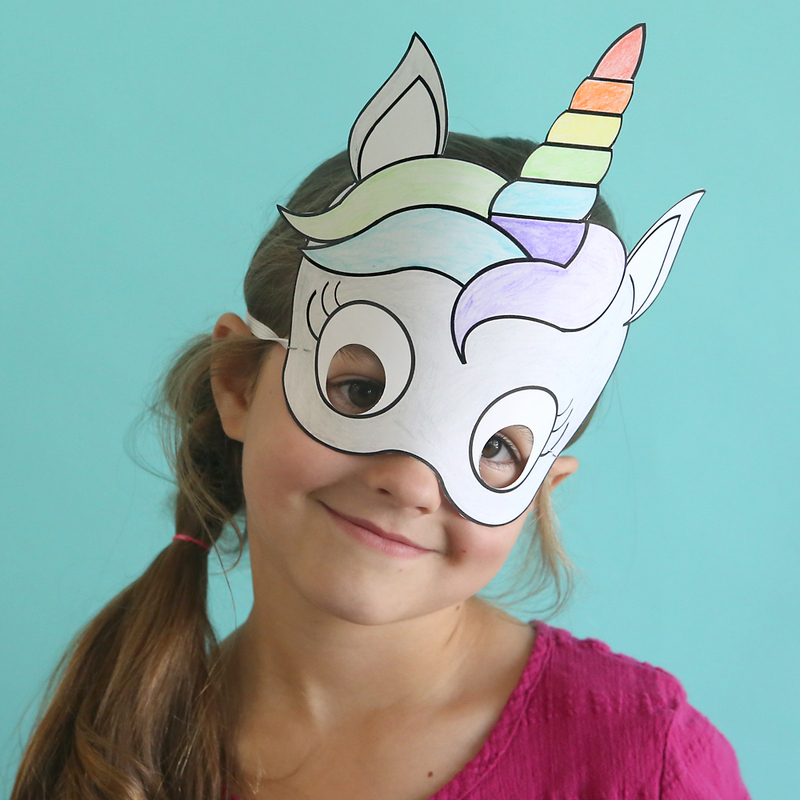 Where is the printable unicorn mask pdf??? I can not find it anywhere on the website. I’d love to use it for my daughters bday party. I was wondering if you could email the design to me when you get a chance? Thanks! It’s not working for me either can you please email it to me? My friend used this for his party and it was a big hit. I am unable to download the l=mask. Can you email it to me? Can’t wait to use these at our party on Sunday! Love your tutorial. Link to the mask worked for me. Thanks, crafty momma, for sharing! 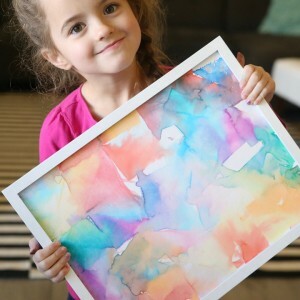 Thank you for sharing such a lovely craft and free printable! 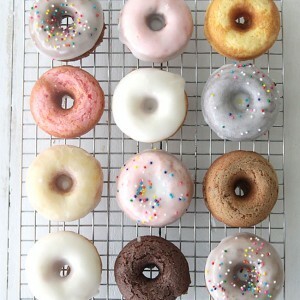 My daughter’s 6th birthday party is tomorrow, and we will be making these with her friends tomorrow. I printed on different colors of pastel cardstock, have pretty new crayons, and pretty pastel gift curling ribbon instead of elastic for the girls to use. Beautiful! I am so happy that I have found your page .. I’d love to print them for my daugthers birthday party. Unfortunatel, I have an issue with the download as well. Would you please send it to me as well? Many thanks! Hello, Can you please email this as well it would be greatly appreciated for my lil N’s 4th Bday? Hi! I love your unicorn mask and would love to print it for my daughter’s birthday party! Would you mind emailing it to me as well? 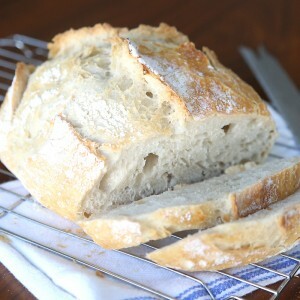 It is so perfect! Thanks so much for sharing. Hi, Im having trouble getting the PDF printable. I have tried several times and can not get it to work. Is there any way you could help? Hi! I am having trouble downloading this…is it possible for you to e-mail it to me. I would love to use it for my daughter’s birthday party! Thank you!! I am having trouble downloading the file. Can you please email it to me. I too would love this mask. Can you email me the link? Also, any easy fun dragon masks in your repertoire? Thank you! Could you please email me the file as well! My Daughters will live this! Hi, could you email the link to me? I cannot get it to work. Hi could you email the link to me as it is not working. Thank you for making this cute printable. Hello, the unicorn mask is beautiful, but the link is not working for me. Please could you send it with email, i love this for the birthday of my daughter. Already thank you! I would love to get the unicorn mask but the link is not working for me. Could you email it to me as well??? 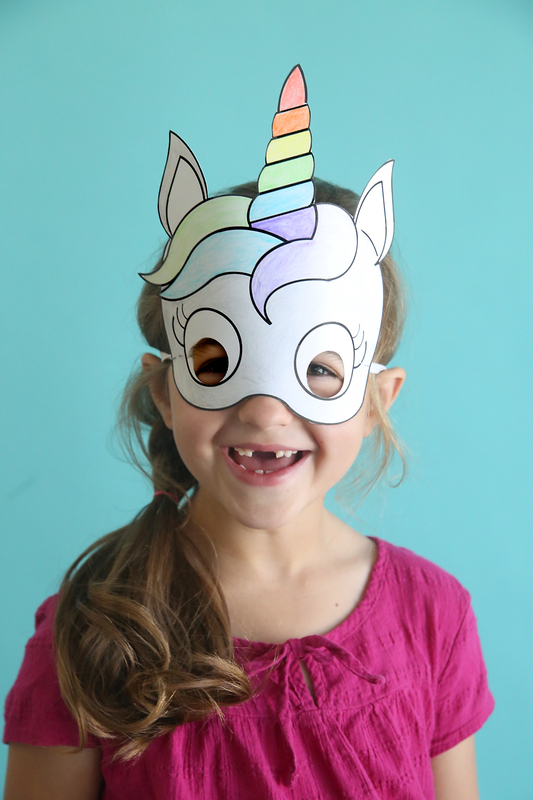 Could you please send me a link for the printable unicorn mask? I’d like to use it at my granddaughter’s birthday party. Thanks in advance! I am not able to save the pdf. Could you please email it to me. My granddaughter will love these for her 4th birthday party!! Thank you! Hi, I would like to have the PDF file for the unicorn mask. Could you please email me the link as well. Granddaughter LOVES unicorns. Please could you email me the link to this please. I’d love it for tomorrow for four girls who will love it! Would you mind emailing me the link? Thank you!